Selecting, implementing and running an learning management system can be a challenge for associations. You need a partner with both deep experience and an appropriate product. To ensure EthosCE is a fit, we work closely with our customers before going to contract. Our pricing module, modular flexibility, and association-friendly technology will make EthosCE a strong contender when making your LMS technology choice.We understand that a learning management system for associations is different than an LMS used for corporate or general educational use. With hundreds of LMSs on the market, it may be daunting to find the one that is the perfect match for your association. What Features Does an Association Need From an LMS? 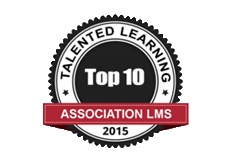 EthosCE provides a long list of features that are necessary for any association’s LMS. EthosCE is designed for the continuing education enterprise. Our feature is purpose built for self-directed learning and not just tacked on to an HR LMS or a talent management system. EthosCE has a rich feature set and fully supports mobile devices. Association members can learn anywhere and use the LMS while at a conference or meeting to claim credits and mark attendance. EthosCE’s flat-free per-user pricing model provides an amazingly powerful LMS at a predictable cost. We stand behind our product with a dedicated implementation team to help you reach your goals. Between our management and staff, we have over a hundred years of shared experience in building and implementing learning management systems. When your association comes to EthosCE, all that knowledge and experience is available to you: configurations, project management, implementations, and support.